Vinegar is said to help people lose weight by curbing appetite and by modifying how the body uses fat and carbohydrates. However, the scientific data on vinegar and weight loss is preliminary and scant. More basic lab and clinical studies are needed before it can be proven that these theories for vinegar's effect on weight loss are correct. In addition to using organic, unprocessed apple cider vinegar (ACV) for weight loss alone, some people combine other dietary products with the vinegar (ACV) for weight loss. As with the vinegar-only diet, there is no proof that these combinations help you lose weight and there are no medical studies on them. ACV is often used in liquid fasting diets like the grapefruit juice and apple cider vinegar diet. Honey is used to sweeten the tart taste of vinegar and may neutralize the acidity so it is easier to take and you avoid burning your throat or stomach. In the vinegar and honey diet, some people add the honey because it is said to curb appetite and also have other health benefits. Others add it to sweeten the tart taste of the vinegar. The honey may also neutralize the acidity of the vinegar, making it easier to take and avoid burning the throat and the esophagus. 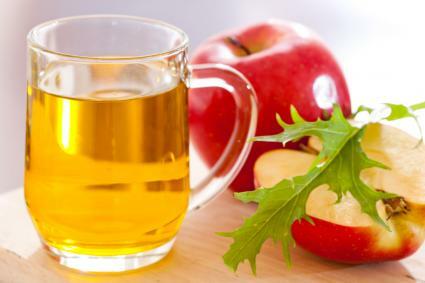 One recommendation is to mix a tablespoon of apple cider vinegar plus one tablespoon of honey in a glass of water. Drink one glass twice a day before a meal for at least two weeks. This combination is said to boost fat metabolism and weight loss. Lecithin is supposed to emulsify fat and improve its absorption and excretion, vitamin B6, or pyridoxine to burn it and kelp, a form of seaweed and a source of iodine, helps to increase thyroid hormone production so you burn more fat. Be cautious about the use of kelp as a dietary supplement because the iodine can cause thyroid dysfunction. Whether you take vinegar, kelp, lecithin and vitamin B6 separately or combined in liquid or a pill as a dietary supplement, there is no evidence that this can help you lose weight. You might find information on this weight loss strategy in blogs, but not in medical journals. Cinnamon is thought to boost metabolic rate so you burn more fat. There is some evidence that cinnamon may affect insulin secretion and action in lab animals and in humans and therefore fat and carbohydrate metabolism and lead to weight loss. As a weight loss aid, the recommended combination is one tablespoon of ACV plus one half to one teaspoon of cinnamon powder or two sticks of cinnamon stirred in eight ounces of water. Drink this before breakfast and before bedtime. You can also add one teaspoon of honey to sweeten. There is evidence that cayenne pepper (capsaicin) is felt to curb appetite and increase fat metabolism. It is not clear, however that cayenne pepper alone or with vinegar can help you lose weight. The recommended recipe is to add 1/10 teaspoon of cayenne pepper plus one tablespoon of ACV to eight ounces of water and drink before or during meals. Vinegar increases basal metabolism so you burn (oxidize) more fat. It decreases appetite by causing a feeling of fullness (satiety) throughout the day so you eat less. It affects carbohydrate digestion, absorption and metabolism. Researchers have not proven or explained exactly if or how vinegar causes these three changes. Vinegar is widely used for multiple purposes and there is active research interest in its possible health benefits. There is little research on vinegar's effect on fat metabolism, weight loss, or appetite, but there are studies showing that vinegar might affect complex carbohydrate metabolism and blood sugar and insulin levels. Some of the theories and assumptions about how vinegar might affect weight, fat metabolism and appetite derive from carbohydrate and blood sugar studies. The source of vinegar varies between studies. The result is the body deposits less fat and uses up more so you lose weight. In a study published in the Journal of Agricultural and Food Chemistry in 2009, Japanese investigators gave acetic acid (the main component of vinegar) to mice on a high fat diet. At the end of the study these mice had 10% less body fat than the mice not given acetic acid. The same Japanese investigators reported in the journal Bioscience Biotechnology and Biochemistry a random, double-blind, placebo-controlled study of 175 obese, healthy subjects. Participants on similar diets were randomly divided into three matched groups. They drank 50 ml of an "apple vinegar" drink after breakfast and again after supper containing three different levels of vinegar. The people who had the higher doses of vinegar drink lost the most weight. The weight loss was small, however - 2.6 to 3.7 pounds in 12 weeks. In addition, everyone regained the weight 4 weeks after the study ended. Several studies show that vinegar may improve the regulation of blood sugar and insulin in Type 2 diabetics and lower the risk for diabetes in people at risk (prediabetics). None of these studies looked at weight loss as an end point. However, researchers propose three mechanisms for the effects on carbohydrate metabolism that might explain a role in weight loss. Decrease digestion or absorption of complex carbohydrates: According to at least one study, it is possible that vinegar inactivates some of the enzymes that digest carbohydrates in the gut. Fewer carbs are absorbed, leading to a decreased calorie intake. Decrease blood sugar blood sugar and insulin levels: In clinical studies, in response to a carbohydrate meal, blood sugar level is lower than expected (anti-glycemic effect). As a result, insulin levels are lower (because less is needed) and insulin sensitivity also increases (insulin works better). Turn on genes that regulate carbohydrate metabolism: Vinegar may turn on or off genes so that more starch is stored in the liver and muscles and other tissues use up more glucose (glycolysis). These changes help to keep blood sugar constant and insulin levels low and also cause more fat to be used up to make sugar (gluconeogenesis). The conclusion from studies on carbohydrate digestion, absorption and metabolism and on blood sugar and insulin regulation is that less glucose is available for fuel. Instead fat is used to make sugar (gluconeogenesis) and burned for fuel (lipolysis) which leads to loss of body fat and weight. Several studies found that taking vinegar before or with a meal lowers the increase in blood sugar and insulin levels expected after a carbohydrate meal (anti-glycemic effect). One study reported in the European Journal of Clinical Nutrition in 1995 found that five healthy test subjects given vinegar on a meal had lower blood sugar response during 95 minutes of measurements after taking vinegar than when given a control liquid. A later study published in the journal Diabetes Care divided participants into three groups: one group with normal blood sugars, one group at risk for diabetes and the third group with Type 2 diabetes. The participants in each group who took four teaspoons of vinegar just before meals had lower blood glucose and insulin increases two hours after a high carbohydrate meal compared to those not taking vinegar. A third study of 30 healthy adults in the Annals of Nutrition and Metabolism in 2010 by the same authors showed further evidence that taking two teaspoons of vinegar with a carbohydrate meal lowered the increase in blood sugar expected. Investigators suggest that people who use vinegar eat less and lose weight because vinegar causes a feeling of fullness (satiety) and curbs a person's appetite throughout the day. A few studies that looked at how vinegar affects blood sugar levels after a carbohydrate meal also looked at the effect on appetite. A study published in the European Journal of Clinical Nutrition in 2005 found that using vinegar with a white bread meal increased satiety. Higher levels of vinegar caused higher levels of satiety. In this study, vinegar also lowered the expected blood sugar and insulin levels. A study published in the Journal of the American Dietetic Association reported that participants given vinegar ate 200-275 fewer calories a day. Some investigators believe that vinegar delays food from being emptied from the gut, leading to a longer duration of feeling full. One study reported in the European Journal of Clinical Nutrition concluded that using vinegar before eating delayed emptying the stomach, but a previous study reported in the same journal did not find this result. Some believe that the acidity of the vinegar may slow digestion of carbs leading to a feeling of fullness and a decrease in appetite. Others believe that the pectin fiber in the vinegar that comes from apples increases the feeling of fullness. There is evidence that over time, high doses of vinegar can cause bone loss, lower blood potassium levels and affect renin, a kidney hormone in the blood. Because vinegar is acetic acid, it is possible it can burn your throat and esophagus if taken as a pill or undiluted. The acidity of vinegar can also erode teeth enamel if you sip it or don't rinse your mouth after drinking it. The acidity may also interfere with absorption of medicines, such as diuretics and insulin, if taken at the same time. Vinegar is available in pill supplements. These are not well-regulated so you cannot be sure of the amount of vinegar in a product or whether the pills are contaminated with toxic additives. The use of vinegar for weight loss is popular in blogs, but the evidence for its efficacy is incomplete. Vinegar may well prove to have an effect on fat metabolism and appetite and thus aid weight loss. The problem is that without scientific proof, doctors cannot professionally recommend vinegar as a weight loss aid. Don't substitute vinegar for a sensible, healthy, calorie-reduced weight loss plan, however. Instead consider vinegar as a possible weight loss aid, not the miracle fat and weight reducer it is claimed to be. Ask your doctor before you use any alternative substances as a weight loss strategy so you can get expert advice backed up by scientific evidence. In addition, consider healthy ways to lose weight.